One of the most frequent questions we are asked is how to bring a car into Mexico. There are three ways you can do it, depending on how long you need to keep your car in the country. In each case, you will be importing the vehicle, either on a temporary or permanent basis. Under temporary provisions, you can have the car for a limited period of time for a specific purpose, and the car must be removed from Mexico in the same condition. A permanent import allows the car to stay in Mexico for an unlimited time because the car becomes “Mexican” and is given Mexican license plates. With a tourist visa (FM-T), you are allowed to import your car and drive it in Mexico for a period of up to six months from the first date of entry of the vehicle into the country. These six months have no extension, which means that you have to remove your car before the end of this period. If you have plans to stay longer in Mexico, then you have to leave the country with your car and return after completing the procedure again. In this case, you can keep your car in Mexico for the same period authorized in your FM3 or FM2 Visa for your stay. When your visa expires, the permit for your car will expire too, but it will be renewed for the same period of time that the FM3 or FM2 visa is renewed. If you entered the country with a tourist visa and then applied for and received an FM3 or FM2 visa, the car doesn’t have to be removed from the country. You only need to notify customs within 15 days of your change of immigration status. Permanent imports are regulated by and require a permit from the Secretary of Economy, but there is a special provision for used vehicles that can be imported without a permit. These vehicles satisfy the following rule: they are exactly 10 years old from the year of import and are manufactured in NAFTA countries. For example, in 2010, cars built in 2000 can be imported permanently without a permit if manufactured in the U.S., Canada or Mexico. Either with or without a permit, the procedure for permanent importation has to be done using a customs broker. The importer can hold an FM3 or FM2 visa or be an inmigrado or a Mexican citizen. 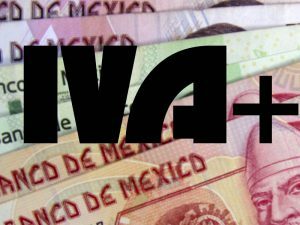 Mexican customs (called Aduana in Spanish) uses the Bank of the Mexican Army (Banjercito) for payment of the first two options. After payment, Banjercito will issue a special sticker that allows the car to be driven legally in Mexico. Without the sticker, the vehicle will be considered illegal and is subject to confiscation by customs. If you are not the vehicle owner, you will need to provide a document showing the relationship you have to the owner, which could be a marriage certificate, birth certificate, etc. If the vehicle is in the name of a corporation, the company must provide the title of ownership and proof that you are an employee. The Mexican government regulates the temporary importation process through the Import Control Modules and temporary entry of vehicles, called CIITEV (Control de Importación e Internación Temporal de Vehículos in Spanish) There are three ways to obtain a temporary import permit. With the exception of Baja California, when driving into Mexico, about 16 miles south of the Mexico-United States border, you will be stopped by customs. The offices of the Aduana and the CIITEV modules in the Banjercito branches are located at these facilities. Enter the offices of the Aduana and fill out the forms requesting temporary vehicle importation. You will have to sign a commitment where you promise to remove your car within the time period allowed. If you pay by credit card, then you won’t need to pay this deposit. In the event that you do not remove your vehicle before the time period expires, Banjercito will charge the penalties automatically to your credit card. At the consulate, ask for the permit of temporary importation of vehicles and sign the declaration of commitment. The fee is $36.00 USD plus tax and the payment can only be made using a credit or debit card issued by a non-Mexican bank in the name of the importer. Why wait? You can do the entire procedure over the Internet right now. This is a service that the General Administration of Customs offers and is operated by the Banjercito website. Click the link below, fill in the form, scan the complete list of documents required and email them to Banjercito. 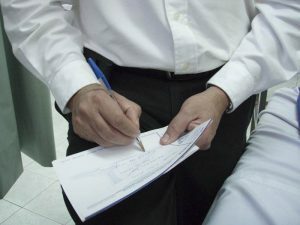 The cost of the procedure is $ 45.00 USD plus tax and can only be paid with a credit or debit card issued by a non-Mexican bank in the name of the importer. Once the registration and payment is done, Banjército will email you a confirmation and the estimated date when the importation documents will be mailed to your home, usually within nine calendar days. When the temporary import expires, you must present your vehicle and your temporary import permit to Banjercito and they will give you your return certificate. Make sure they take the sticker off your vehicle to be deactivated from their system. You will be welcomed to come again and bring your car during your next visit. IMPORTANT: if you do not remove your vehicle from Mexico before the permit expires, you will be subject to penalties and your car can be confiscated by the Aduana at any customs location in Mexico or at the border. Don’t let this happen to you. Importing your vehicle permanently involves a more complicated process. You must hire a customs broker who will collect the required information, which includes the documents for temporary importation plus proof of legal residency or citizenship. The broker will file the necessary forms with the government. You will pay an import duty based on the type and age of the vehicle, as well as other taxes and a fee to the customs broker. After the vehicle is officially imported, you are required to take the proof, called a pedimento, to the Departamento de Registro de Control Vehicular to obtain Mexican license plates for the state in which you reside. 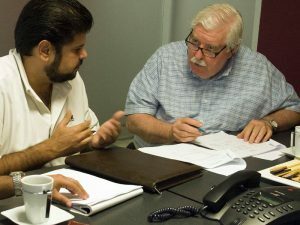 It is important to understand Spanish or use the services of a translator so you can fully understand any complications or additional requirements that may arise in your specific case. You can read about one woman’s first-hand experience here. For those who intend to live full-time in Mexico, another option is to sell your foreign car in your country of origin before entering Mexico, then purchase a new or used vehicle in Mexico. Nearly all of the major makes and models of cars are available and represented by authorized dealers. In fact, there are several smaller and more affordable car models available only in Latin American countries. If you have any questions about importing your vehicle into Mexico or need any assistance, YES can help you with the entire process. For more information, please contact us at info@yucatanyes.com. We would be pleased to hear from you. 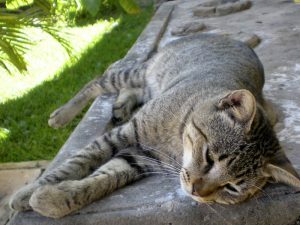 I’m a Brit living in Mexico City but I’m hoping to move to Yucatan in the near future. While your article was interesting, it didn’t quite deal with the question I have in mind. Perhaps you can help. I own a 1972 MGB Roadster which is currently located in London, England but which I would like to bring to Mexico as soon as I get settled. I understand that there are special provisions for importing classic cars to Mexico. Do you have any information available? Thank you. I too have a classic car (1985 Avanti) I would like to import. I have an FM2, homeowner, live here full time retired, and interested in any information of special provisions for older classic cars. Hi Andrew, the Mexican Custom Law specifies that if a vehicle has an age equal to or greater than 30 years you will be able to import it as “classic”. The procedure must be performed at the point of entry through a customs broker, who will prepare the final import permit; it is not necessary to comply with the requirement that the person is registered in the Importers List, provided they import only two vehicles per year. I’m wondering about Mexican car insurance? I believe you have to have some form of insurance to have a car on the road here but am unsure what companies offer and how to go about obtaining insurance. Any advice? The Personal Insurance Guide covers car, home, health and life insurance in Mexico, how it works, where to find it, how to make claims, etc. etc. And yes, insurance is absolutely required for all cars in Mexico. Just to be clear. If my vehicle is ELEVEN years old, that mean I can’t get Mexican plates? Hi Mike! You can keep your foreign-plated car in Mexico if you have the FM2 category “nonprofit”. Maybe immigration was not clear about that: only the nonprofit FM2 can hold foreign plates; all the other FM2 categories cannot. They must switch to Mexican license plates or return the car to its country of origin. This information was provided to us by the Institute of Immigration in Mérida. Esther, if your vehicle is 11 years old, you can’t get Mexican plates let’s say “automatically”; you can request an import permit provided by the Ministry of Economy but these permits are not always granted. We’re in the same boat as Mike, above, having lived in Mexico four years with first an FMT, then an FM3, and this June will make two years under an FM2. Our abogada told us last year we would have to sell the vehicle this year (a 1992 Toyota 4wd pickup – Japanese). We have no desire to sell this excellent vehicle and are ready to jump through whatever hoops to keep it. Ideally we would like to come by Mexican plates if possible. Interestingly, we created a Mexican non-profit last year, so I wonder if we can qualify for a non-profit FM2? Or does non-profit already apply in our case, as my husband is living on a pension? Thanks if you can help us understand how one acquires Mexican plates – there is so much confusion about this point. Some say drive to the border, some say it can be done here in Guadalajara, and some say we can’t do it at all. Thanks for your help. Hi Kerrie, Tthere are many issues here, and the answers to your questions are not simple and will depend on your individual situation. I see that you have also written us directly and I will answer you in a private email. If anyone else has similar questions, we encourage you to email or write us directly. Thanks. I am frustrated that no one seems to write about whether or not a foreigner can buy a Mexican-plated vehicle, leave it in Mexico while in the US, and store it with a responsible Mexican company at the same time. Is this possible? Is it necessary to have a Mexican driver’s license to buy a Mexican-plated car? Or just an address for residence? Would appreciate your covering this? I suppose a person could drive over the border to Belize occasionally and save the long, long journey back to the US border, but this seems unnecessary. Since this is an article about BRINGING your car into Mexico, it wouldn’t be in this article. But yes, you can buy a Yucatan-plated car here. And leave it with whomever you want… it’s your car. No, you don’t need a Mexican driver’s license to do that. You do need a passport. We have a foreign plated vehicle and would like to know if the FM2 “nonprofit” is the same as an FM2 Rentista? Yes, nonprofit is the same as rentista. I have a questian concerning permanent importation of a Texas licenced 1999enclosed travel trailor. I am a mexican citizen. What is the process i Will need to import It. In Texas, the trailers owners do not have titules for them. Please help. Cynthia, you have to take outside of Mexico in order to sell it; you cannot sell it here because it’s on temporary import and you have to return it to cancel that import. I am bringing in a 2007 car this upcoming week to mexico city. However, our fm3’s expire in 2 weeks. Should we come in as a tourist or will they accept our fm3 visas? We are in the process of renewing our visas. What do you recommend? Also is there a place before you get to the texas/laredo border to buy the permit? Sara, you should come in as an Fm3 holder because you are, it hasn’t expired yet and you are in the process of renovation. If you prefer to do the procedure before you arrive to the border you can do it in the following Mexican consulates: Dallas, Houston, Austin or Fort Worth. I just bought a 2001pontiac axtek im trying to take it to mexico but i dont have a drivers lincensed is there a way i can take it,and im planning to stay there permantly. I have a 2001 Ford truck (bought new in 2000) and plan to move to Mexico on FM3 Visa in 2011. Does the 10 year rule apply to model year or manufactured year? (Notice the difference in the model year and manufactured date.) If the truck dies, do I have to return the “dead” truck to the border to clear the permit? Can I get Mexican plates for the truck? Can I “trade” the truck in for a different vehicle at an automobile dealership? Can I drive in Mexico on expired US plates? I have permission with my fm2 to drive my car in mexico. I would like to register it as an import vehicle to stay in Mexico with mexican license plates. I have been told that I cannot do it because the vehicle is not a nafta vehicle and was assembled in Japan. Am I getting the correct info or is there a way I can permanently keep the vehicle in mexico. what procedure do i need to follow? I am immigrado status and have a Ford truck currently registered in California. I live in San Jose Del Cabo. Is there a way that I can continue with the California registration legally or would I have to look into importing it? If i have to import it, can you recommend the best way to do it here in the Los Cabos area? Thanks so much. I was told that you have to have an FM2 to be able to buy a car in Mexico. 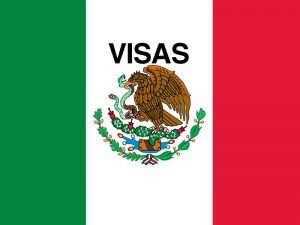 That it was no longer allowed for people on a Tourist Visa or an FM3 Rentista to purchase a vehicle from a Mexican Car dealer. What is the current rule. Matt, with the immigrado status you cannot import a vehicle with foreign license plates into Mexico. You´d have to import it definitively, but the vehicle has to be exactly 10 years old in order to do so. You will need a customs broker for the import but I cannot recommend any custom agencies over there, sorry, we specialize in the Yucatan area. James, Fm3 or Fm2 are both valid to buy a car in Mexico. Tourist visa is not. So much information – thank you for your time! My husband (Mexican Citizen) and I (US Citizen) recently drove to Oaxaca to live for a spell with his family. We have the temporary import sticker on our car. Unfortunately I need to fly back to the US unexpectedly and the chances of us driving that thing (2003 dodge (nafta) minivan) back to the border before the sticker expires are about zero. He doesn’t even have a drivers license yet, ubt will get one shortly. We would like to get Oaxaca plates, but that looks impossible unless I have imigrado status, huh? My name is on the title… Any ideas? April, this is a little bit complicated. Please call us directly to talk about this. I would like some advise for my friend…actually I might sent her with you to help her. Her problem is that she had an FM3 and brought her car with her (1998) from Nevada, but b ecause of a serious surgery she went back to US and left her car behind..2 years have pass since then , now she would like to come back for the rest of her things and she would like to know if she can sell or give away the car or if she even has to take it back to US, we are not sure if that would be possible because she never renew her fm3 …would she be able to drive her car when she comes back for a week in June? The car is in Merida and she would like to do something with it… she drove the car down from the Tamaulipas boarder.. Dos she has to take the car back there?? Thank you so much!! I own a home in central Mexico, and travel there on an FM-T, with no short term plans to obtain an FM2 or 3. I would like to drive my 1994 Ford Explorer into Mexico and leave it permanently at my home. Can someone on an FM-T import a vehicle that is older than 10 years old? It appears there are no options for me to do this based on my research and on your excellent summary above, but I would I thought I would ask about my specific situation. Thanks! We have our FM3 visas and we are going to drive our 2008 Trailblazer to Puerto Vallarta in the first week of May 2011. The vehicle was purchased new in the US and then imported into Canada. We retain the US title for the vehicle. We are arranging insurance for the vehicle for operating it in Mexico. We plan to leave the vehicle at our condo near Bucerias. Can the vehicle remain in Mexico indefinitely as long as we maintain our FM3 visas? Is there any advantage in “normalizing/importing” the vehicle once it reaches the 10 year mark? It appears if we want to eventually import the vehicle into Mexico, we would need a registration from Canada that was current and the only way to do this would be to continue to pay our yearly registration in Canada. If there is no advantage in importing the vehicle once it reaches 10 years of age, I guess we would continue to operate it as a foreign registered vehicle? William, yes you can temporarily import your 1994 Ford Explorer on a FMM (there is no longer the FM-T, the FMM has substituted it), but the FMM (as well as the FM-T did) only gives you permit to have the car in Mexico for 180 days; before they expire, you have to take the car out of Mexico and cancel the permit and if you want re-enter again even the same day to renew the permit. If you have an FM3, the temporary import permit will be valid for as long as your FM3 is valid. Tim, yes you can keep the vehicle in Mexico for as long as your Fm3 is valid. The advantage of having Mexican license plates is that you can do whatever you want with the car, including selling it here. With the foreign license plates you are forced to maintain the car with you in Mexico and only you or relatives can drive it or anyone as long as you are in the car. If one day you don´t want it anymore, you would have to take it out of Mexico. Is more practical to have Mexican license plates, although of course, when the time comes, you´ll have to pay duties for that and hire the services of a customs broker. The more I read about this, the more uncertain I am that I understand the matter. Can a 2008 NAFTA vehicle be imported into Mexico? When I read about this it seems this could be done if a Permit is obtained. It looks like no permit is required if the vehicle is exactly 10 years old. If the vehicle is brought in to MX under the temporary importation permit associated with an FM3, can the vehicle be imported permanently from within the country? I think this is possible from reading the Working Gringo thread, but if a 2008 vehicle was imported would this still apply? The reason for my confusion is the issue about a Permit being required for a vehicle that is not 10 years old. Thanks for your previous reply. Tim, a 2008 NAFTA vehicle can be imported only temporarily, that is, with its original license plates, not Mexican. When a vehicle is 10 years old and NAFTA it can be imported permanently, hence, have the Mexican license plates. This whole vehicle relocation situation seems WAY too complicated. My advice is to sell your junk in the US or wherever, and buy another car in Mexico. We are here and our Visa expired. Due to money situation we have to leave and don’t have time to wait for the FM3, or the money. What do I need to do to drive my car out? Please help! I have an FM3 and I want to drive a 1995 Honda SUV across the border into Mexico. Are there restrictions on how old a car is or am I fine bringing a 1995 car in? Tony, there are no restrictions on how old is a vehicle regarding temporary import into Mexico. Yes you can bring your 1995 SUV. The only thing you won´t be able to do is to import it permanently. I have an FM2 and have a permit to keep my 2000 Mazda MPV in Mexico. I would like to find out if there is a way I can register this vehicle here in Mexico. I heard that my vehicle was not manufactured in North America so it could not be registered. I do not know if this is true. Can I pay an import fee and register the vehicle here if it was manufactured out of North America? I would like to keep the vehicle here in Mexico with Mexican license plates. Gilberto, you can´t register the vehicle in Mexico because it was not manufactured in North America and also because it is a 2000 car, meaning it has more than 10 years and according to Customs Law in Mexico only 10 year old vehicles can be registered, not newer, not older. Is there any way of finding out how much the import duty is. For an example a 2001 dodge pickup, book value $9000. or is every vehicle different. It would be great to know that there is a certain % per value. Any info will help greatly. Gerald, it is approximately 26% of taxes over the book value of the car. We don´t know how you got the 9,000 number, but normally you go to a customs broker and they have charts where it says the current value of the car. Of that value you take the 10% of Ad Valorem tax; after, you add the book value of the car to the Ad Valorem tax and you take the 16% of Value Added Tax. For the import there are also customs rights and paperwork to be paid and the customs broker fees. Paul, only NAFTA vehicles that are 10 years old can be imported definitely and get Mexican plates. Your car won´t be elegible since it´s not NAFTA and, even if it was, you would have to wait 9 years. Your car can only be imported temporarily with FM3 or FM2 and the permit will last for as long as your FM3 or FM2 is valid. We have our 2009 SUV here in Mexico. My husband got the car permit that goes along with having an FM3. We have current Mexican auto insurance. The Colorado plates have expired. We plan on keeping this car down here for a few years. Do we need to keep the U.S. registration current? Must my Nova Scotia vehicle be kept up to date with registration and insurance in Nova Scotia over the years? Am I able to buy Mexican vehicle insurance and discontinue registration and insurance in Nova Scotia? My wife of nine years will have to return to mexico before sept 1 2011. Due to alabama passing the HB 56 law. We have purchased a 2000 Dodge Caravan to get nationalized. We are wanting to take with some items from the house. Since when she gets there she will have nothing. Is it possible for her to do? I have emailed several Car brokers though have not heard back. I have heard conflicting storys about the year. Which is correct. Van must be exactly 10 years old now or can it be older then 10 years? I hope we just didn’t make a big mistake and buy the wrong year of van. Any information would be great. Also I plan on riding with her from the border to her home town which is 46 miles north of acapulco. Then flying home once she finds a place to stay. Will this be a problem? Kathy, according to the Customs Law in Mexico, in order to import a foreign-plated car, Banjercito, the institution that grants the temporary import permits, must verify that the vehicle has no restrictions for its circulation in the United States. If it finds anything, it will not give you the permit. We know this is not your case since your vehicle is in Mexico already, but our advice, given what Banjercito does, is that you keep your registration current, just in case a verification is performed. In most states, there is a “non-operative” registration option, and we believe that this is sufficient for these purposes. Hello, I would like to know if I import temporarily my vehicle from the U.S., say through Nuevo Laredo, after the six months permit expires, can I exit the country at the sourthern border (Chetumal-Belize), re-enter the country and apply for a new permit? Thank you very much in advance for your help and cooperation. Aaron, yes you can, but you have to exit Mexico before the 180 days expire. Does the us registration have to be current in order to permanently import a car to Mexico. My plan is to get a fm2 and wait till the car is old enough to import. By that time the tags will be expired. Can I do it? Gerald, for custom authorities it is not important if your US car registration is current or not; they do not ask for that information or verify it with anyone in the US. If I purchase a vehicle in Mexico (manufactured in Mexico) and provide the necessary paperwork, how easy is to to export this out of Mexico if I am not a resident/citizen? Would it be easier to do this by transporting the vehicle under a tourist permit into the US then exporting this to Australia? I have an FM2. Can I bring a 10 year old California plated car into Mexico and drive it without legalizing it as long as my FM2 is current? For that matter, can I bring any year car, plated in CA, into Mexico without legalization with my FM2? Jonathan, you can bring any year car, plated in CA, into Mexico as a temporary import as long as your FM2 is current, but only if the FM2 is for the “rentista” category. Thanks for your response. I understand what you have said. You don’t mention what happens with my FM2 status after 5 years and I am a legal Inmigrante and no longer renew the Visa. As I understand it, I will no longer be able to drive a foreign plated car. Is that true? Jonathan, after 5 years with FM2 once you become an “inmigrado” you cannot import temporarily a foreign plated vehicle. I am restoring a 1954 Buick in Mexico. I drove the car through the border in Tijuana. Now the frame is so damaged that the car needs another frame. I tried to drive just the frame on a trailer back through the border, but was told that I needed papers. They would not tell me what papers I needed. Next time I drive back, I need to be prepared. Can you tell me what papers I need to bring a FRAME ONLY into the United States? Themis, Customs requires proper paperwork to import any goods into Mexico. Generally the paperwork requires the invoice showing the value of the goods. You are permitted to bring duty free by land something of $75 USD value. If the value of the object is higher, they will tax you on the difference. However if what they meant is that you must use a Customs broker, then you should contact one near your area for assistance and request their services. In this case, where what you are importing is a little out of the ordinary, that might not be a bad idea anyway. I wanted to bring in a 2008 Kawasaki motorcycle that I could buy here in Texas for $3500 but they wanted to charge me nearly half the price of the bike just to import it at Laredo. I currently have a car on temporary import in my name. Can I add the motorcycle to that permit or would I have to start over? An alternative would be to import the bike in my wife’s name as she has no vehicle import permit outstanding. Dan, if you want to do the import of the bike, you would have to cancel the current import permit by taking the vehicle out of Mexico and then re enter with the car and the bike; the car and the bike would be sharing one sole import permit. The alternative you present is ok, your wife can import it. Thank you! Would we still only have one import permit if the bike is being ridden rather than trailered? Or would we have to get two permits, requiring the (new) actual $400 deposit on each vehicle? I am the motorcycle rider, not her. Dan, if your wife is the driver of the vehicle and you the rider of the motorcycle, then both vehicles can be registered in the same import permit. If it is not your wife driving, then it would be 2 different permits: one for the motorcycle under your name and the other for the vehicle under the driver´s name. Dean, yes you can import the 3 items and you need temporary import permits for doing it so. You will be issued one permit for the motorcycle and vehicle and one permit for the boat. When you cross the border go to the “Banjercito” office and present for the 3 items: title of property, your passsport and your FM2. You will have to pay 44 dlls + 16% VAT for the permit of the vehicle and motorcycle and 45 dlls + 16% VAT for the permit of the boat. It is important that the FM2 you have is for non working purposes (“rentista” is the name in Spanish), otherwise you won´t be able to do the import. Steve, you won´t be able to obtain Mexican plates because according to the Customs Law the vehicle should be 8 or 9 years old (not more, not less). Yours is a 1989 model which means it is 23 years old; when it reaches 30 years, you could get the plates because it will be considered as a “classic” vehicle. In the meantime you can bring it as a “temporary import” and keep the US license plates; such permit will be valid for as long as your FM3 visa is valid. I found beautiful Volkswagen combi 1975 in San Antonio Texas. I’m living in Monclova, Couahila and I can Import thru Nuevo Laredo or Piedras Negras. I have FM3. 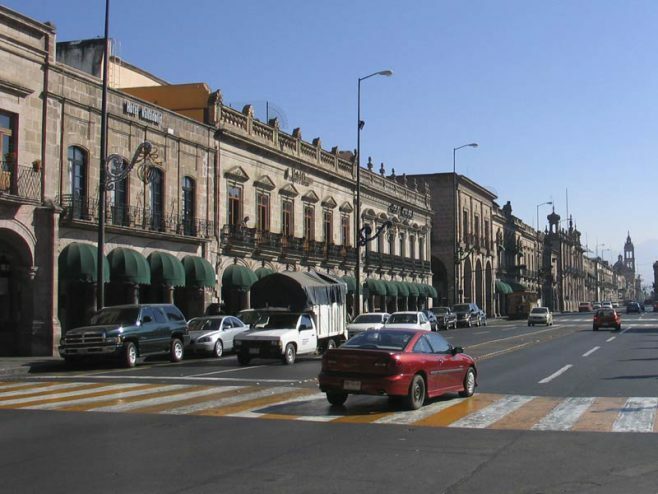 Steve, for the import of classic cars you will need to hire a customs broker; click on this link so you can choose among this list of brokers one that works in Nuevo Laredo: http://www.claa.org.mx/socios.php. Once you choose a broker contact him and let him know about the import you want to do so he can help you with the preparation of the “pedimento” (import document) and gives you a quotation. I am planning a long drive thru Mexico to Belize. I will have a 2008 Toyota (made in San Antonio,Tex), pulling a sailboat trailer. If I’m passing thru, what will I need? I will return 3 months later. Tony, you will have to do the regular temporary import process, even if you won´t stay in Mexico and you will just cross it. You will need to present at the border in Mexico: your passport, your Mexican tourist visa, the title of property of your vehicle and pay the fee of 51.04 USD. When you exit Mexico, you cancel the import permit and then when you return to go back to the US, you will have to do the same. Hi, I will be relocating to Mexico on a FM2 Visa soon but like to bring in my car from Ireland, which is a right hand drive. Its new , first registration 2011. Will this be possible? Karola, yes you can bring it into Mexico as a temporary import, keeping its original license plates. You won’t be able to change to Mexican license plates because according to the Customs Law, only vehicles that are 8 or 9 years old and produced in NAFTA countries can have them. I’m an American living in Central America and moving to Mexico in August. I would like to know if I can do all the paperwork to bring my car into Mexico with Central American plates. I still have my American Car License and all. Would it be the same process since I would be entering Mexico through Guatemala or Belize? Thanks for any assistance you may provide me. BTW, the car I have is an American made car that we had shipped into Honduras. We will probably enter Mexico through Belize. Would like to know if we can get the temp 180 day permit online. Thanks. One more thing, the car has Honduran plates. Hi, I have purchased a 2001 Dodge 15 passenger van in California to donate to a church located in San Luis Rio Colorado this next weekend. Is it possible to do this? If so what steps should I take. Scott, a temporary imported vehicle cannot be donated or sold to anyone, it can only be property of the person that did the temporary import. And the only people allowed to drive it are: the importer, wife/husband, children, parents or siblings (even if they are not foreign), by any foreign person with a current tourist visa, FM3 or FM2 rentista or by anybody else as long as any of the authorized people are in the vehicle. The donation could take place if you nationalize the vehicle, but this cannot be done either because only vehicles that are 8 or 9 years old can be nationalized. Renee, yes you do the regular temporary import process, it does not matter if it has Honduras license plates; you will be granted with 180 days to have it in Mexico, during which the importer should get an FM3 so the car can stay longer. Over 2 years ago, I entered Mexico and passed (in my name) a truck using a Tourist Visa. I did this for a Mexican friend, in whose name the car was registered, purchased, segured. He has since nationalized the car, but tells me that we need to return to the aduana where we entered (Nuevo Laredo) in order to erase the entry in my name, for me. Is there any way to do this remotely with Banjercito? I live in DF. Thanks. Carey, you have to return to the border, there is no way to do it remotely, sorry. Jesus, you will need a customs broker for the permanent import. Your Ford F150 must be 8 or 9 years old (no more, no less) and it should have been manufactured in the US or Canada. You will have to pay 10% tax advalorem and 16%VAT over the current value of the vehicle plus the fees of the broker. I am a single 77 year old male and I have plans to make a permanent move to the Lake Chapala area in Mexico in November 2012. I will have established residency there prior to that time. I will be purchasing a new 2013 Dodge Ram pickup truck just prior to making the final trip to that area. I will be driving said vehicle from Sacramento, California. (I will be shipping personal property in containers separately). I need to know exactly what procedures must be followed, who to contact and what to expect regarding Import duties, taxes, fees, etc., relating to said vehicle, and the most desired and accepted means of making payments, for initializing and then completing the importation procedures? Acknowledgement will be greatly appreciated. I have a temporary import permit on my car that I bought at the border in 2008 when I moved to Mexico. Since then, I’ve changed from FMT to FM3 status, so I never had to get a new permit. I’ve taken the car back to the U.S. and into Mexico again several times without canceling the permit because under the old rules, you didn’t have to, and I didn’t realize why it was a good idea anyway until now. My car is being repurchased by the manufacturer because of a safety recall, and I can’t return the sticker to the border. I know the procedure for having it canceled by mail, but that takes 3 months to a year, and I need to drive back now! So I’m wondering, can I buy another used car and buy a permit for it even though I never canceled the old one? A consumer affairs agent for the car manufacturer told me today that I can bring an unlimited number of cars into Mexico as long as I pay for a permit and pay the bond for each one. Is that true? In reality I will only have one car in Mexico, but as far as Adjuana knows, I may still have the other one because I came through without canceling. Advice, please! I want to get home! I will be coming down with my family on an FM3. I have a newer car that my wife and children will be in, and I would like to bring an older 1966 mercedes car with me as well as I would like to get it restored while being there. 1) can I bring 2 cars down? Anne, you can only have one temporary imported vehicle in Mexico, if you have not cancelled an old permit, you won´t be able to temporarily import another car. And about your second question, it is more flexible to buy a car in Mexico because you can do whatever you want with it, instead of with a temporary imported one that you cannot sell or donate while in Mexico and to do any of these things, you have to take it out of the country and cancel the import permit. Billy, you could import one vehicle and you wife could import the other. If both of them are under the same person´s name, just have with you a copy of your marriage certificate to show relation and the “not-owner” will be able to do the import of that car. I imported my car with a sticker in Feb 2010 then got my rentista FM3 in 2010 and 2011-which expires nov.2012. I asked at immigration if there was any special paperwork that I needed for my car and they said no. I removed the expired sticker and saved it along with all paperwork since it was no longer needed now that I have an FM3. I leave my car at my house here. I may not be able to fly back to return this Nov.to renew my FM3. While I am here in the yucatan now should I go across the border in belize then drive back in to get a 6 month sticker before I leave in august? I was told I cannot renew my FM3 until 30 days before it expires…meaning I cannot renew it before that. Hi, thanks for all the information. My girlfriend and I, both US citizens, will be traveling from Louisiana down into Central America in November. As I understand it; we will need tourist visas, and a temporary registration of the vehicle. Is this correct? Will will also need to purchase Mexican auto insurance for the drive through? We will probably be in Mexico for only a couple weeks, no more than a month. I am completely new to this, so any other first-timer advice would be greatly appreciated. Ann, the sticker does not expire, it is valid as long as your visa is valid. If you don´t renew your FM3 on time, your import permit will expire and the car will remain illegal in Mexico. You could renew your FM3 60 days before it expires, but you won´t be here either. What you should do is renew your FM3 in November at the nearest Mexican consulate. Also, you should notify customs that you renewed your FM3 within the next 15 days you´ve done it, so if you would like that YES helps you do that, please contact me to my e-mail adriana@yucatanyes.com so I can tell you which paperwork we will need from you. Devin, yes you will need tourist visas, which will be given to you when crossing the border, you will also receive a temporary import permit for your vehicle to be legal while in Mexico; to get the import permit you will need to show your passport, your tourist visa, title of property and pay the corresponding fee at the border as well. Regarding insurance, as long as the one you have is valid for Mexico, that´ll be enough, if it´s not, then yes, you will need to hire insurance, not to import the car, but for while driving it through Mexico. Have a good road trip! I am in need of some advice on how to handle my 1998 Ford permit. The car was brought it into the country in 2007 under my husband’s FM-3 and the 2004 importation laws. The car is presently in Quintana Roo and my husbands current FM-3 has not yet expired. 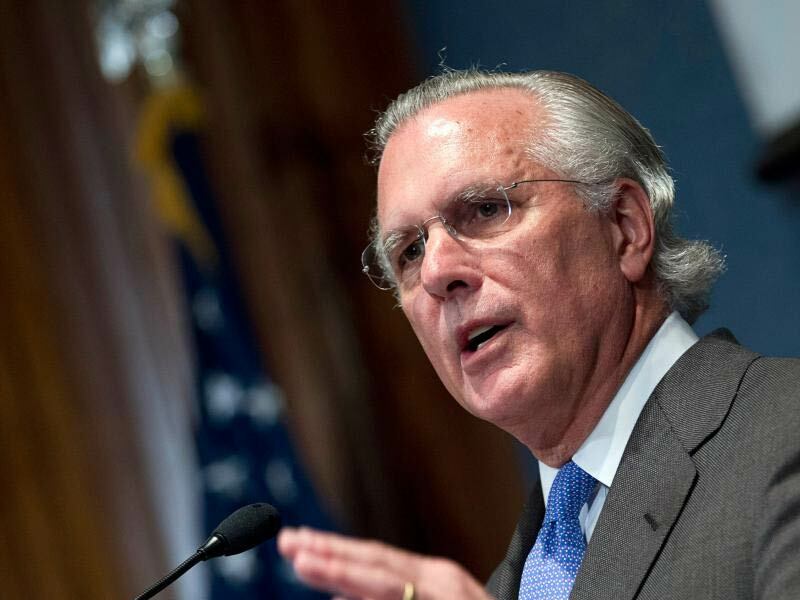 We were told by our consular agent that vehicles brought in prior to last summer’s Aduana changes would not be subject to the bond and the other new rules. The problem is that my husband recently passed away, which makes this, and many other things much more complicated. I am not sure how to handle this now. From what I have read, the car is too old to be Nationalized – which I would prefer to do. Bringing it back to the states would be very difficult – plus, I need it at my house in Q.R. Is there a way that I can transfer the car into my name and Fm-3 without having to go to the Belize border, thus putting the car under the new importation fee and loosing it’s “grandfathered” status? At the present time, the car is parked in Q.R. , I am in the states, and my husband’s visa does not expire for a few months. Anita, you will have to cancel the current import permit under your husband´s name and bring back the car under your name, if you want to keep the car in Mexico. You cannot transfer it to your name while in Mexico. You will be able to drive it to the border and cancel it showing your marriage certificate and his death certificate, while his FM3 is still valid. It is correct what you say, the car is too old to be nationalized, it can only stay in Mexico as a temporary import. i am moving to mexico for good in about 3 weeks.i am bringing a 2006 pick up truck that will be hauling an enclosed trailer with a 2010 harley davidson motor cycle.i have been told i can only have 1 u.s.plated vehicle at a time.is this true? I brought a 2006 Ford Escape into Mexico on my FM3 when it was new. The car is registered in two unrelated names. Now I want to bring a used 2003 Audi (9 years old) into Mexico, also registered in the same two unrelated names. Can we each own 1/2 of a car instead of each owning one car outright? One of us is considering changing to an FM2 in 2013 and would like to nationalize the Audi so we don’t have to take it out of the country. Tom, you can bring the pick up truck with the trailer and the motorcycle under one temporary import permit; no more vehicles allowed though. I have a new question. I have a U.S.-plated car in Mexico and I have an FM3. What if I drive to the U.S. and buy one of those new three-wheeled scooter-cars and bring it back in a trailer? Do I have to buy two permits or three? Is the scooter-car considered a car or a scooter? Anne, you can only have one permit, but under that permit you can bring a foreign plated vehicle, a trailer and your scooter; so you will have to take the current temporarily imported vehicle out of Mexico to cancel the permit and then bring it back along with the scooter and trailer under one sole permit. Thank you, Adriana. But then do I have to take the trailer and scooter back across the border every time I travel? Can’t I get a separate permit for those? The idea would be to leave the three-wheeler in Mexico but have my car whenever I need to drive to the U.S. Yes Anne, they all 3 will be under the same permit, you cannot separate them and you cannot get different permits for each. I have a 2003 Nissan 350Z and I would like to sell it to a Mexican… Do I need to mexican plate it at the border first, or is there a way to plate the car in Culican? The car is sitting in Culican right now, without an import sticker. Does the JN mean it was built in Japan and is that an issue? N8, in order to sell a temporary imported vehicle you have to cancel the temporary import permit at the border and then do a permanent import of the vehicle so it gets Mexican license plates. However, the rules in Mexico only allow US or Canada manufactured vehicles to be permanently imported, so in this case you won´t be able to, since it was made in Japan. My brother and I are going to Yucatan in Jan 2013 (if the world doesn’t end) We are taking a Camper, towing a car trailer with a Land Rover on it with expired CA license plates. I will also be bringing 2 scooters. We will be on tourist visa with expectation of staying at least 180 days. I understand I will be issued a temporary import permit for each vehicle. Can I bring a SUV from U.S. to mexico without current registration? 2nd Q: Is the camper and the car trailer 1 permit and the Land Rover another? Do I have to do anything about the scooters? Hi Adriana I have a 98 Windstar that I brought in as a tourist 2009. I had been renewing the import sticker in Puerto Juarez but the last time I was in, they said it was not neccesary any more (16 month ago) I have since got my FM2 as an asimilado. Can I drive this vechicle to Belize and then import it permenatley in my name. Can a Mexican national buy it in Belize and then import it into Mexico. If I do take it out of the country and sell it. What year vechicle can I buy and then import permanetly into Mexico . I’m Confused with the more then 10 years, exactly 10 years and now it looks like 8 or 9 years old???? (exactly) Thanking you in advance for your help!!! It’s a mystery!!!! 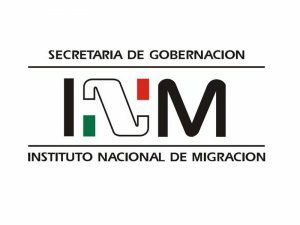 Glen, to our knowledge it is necessary to give notice to customs 15 days after you renew your visa; also according to what we know, an FM2 asimilado cannot have a temporary imported vehicle in Mexico, only FM2 rentistas can (and any FM3 category). In order to cancel the temporary import permit, you have to drive the car to Belize. You cannot import it permanently because it is a 14 year old car, and the current customs rules only allow 9 or 8 year old vehicles to be nationalized. 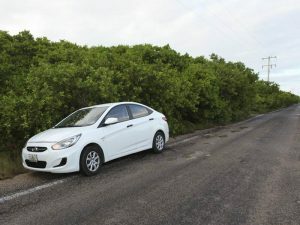 A Mexican national could buy the car in Belize but he´d only be able to import it in Mexico if he can prove he lives abroad or that he has worked abroad for at least 1 year. If you buy a foreign plated vehicle and you want to nationalize it, keep in mind the 9-8 year old rule and that the car must have been manufactured in the US, Canada or Mexico. Hope you have a clearer panorama now! J.P., one of you can bring one vehicle with a trailer and scooters and the other can bring the camper. You will be issued one temporary import permit for the vehicle+trailer+scooters and another one for the camper. The only documents that you have to submit at the border are: the title of property of the vehicles under the importer´s name, passport and tourist visa and pay the corresponding fees. Before the 180 days expire you will have to cancel the import permit of the vehicle+trailer+scooters by returning them to the US. The permit for the camper will be for 10 years. Mossy, if you get your FM3 visa before your tourist visa expires, you won´t have to take your car out of Mexico, you will just have to go to the nearest customs office to your domicile to notify that you changed a tourist visa for an FM3 so they extend the temporary import permit of your car. Every year that you renew FM3, you will have to do this notification. If, on the other hand, your tourist visa is about to expire and you don´t have the FM3 yet, then yes, you can go to the US and re-enter Mexico to get another tourist visa and car permit for other 180 days. 1) Does the (All 2011) Jeep+Cargo Trailer+Motorcycle (1 permit) have to be applied for online prior to arriving at the border to cross on a FMM through my husband or can we just arrive and do all the permits at time of crossing? 2) We are shipping a second 2003 motorcycle with a moving company in a crate under my FM3. I am going to apply online for the temporary permit and have everything ready prior to shipping. The question is, do we need to meet the movers at the border or can the applied for permit let them through with our motorcycle? 3) If the 2003 motorcycle comes in on a temporary permit, does it need to go back to the border in one year if it becomes 10 years old to get our guarantee back? In summary the Jeep+Cargo Trailer+Motorcycle are my husbands and the 2003 is mine. We are ready for our move from Canada but just need these last few questions answered for better direction. If a vehicle is in two unrelated names, can it be brought into Mexico if only one driver is in the vehicle? The other unrelated owner will already be in Mexico when I cross with our car. 1) You don´t have to apply online, you can just arrive and request the permit at time of crossing. 2) Yes you need to be at the border for physical inspection of the goods that will arrive, not because of the movers, this is something your customs brokers will request. 3) All of your vehicles will enter Mexico under 1 permit, you cannot return one of them alone, you will have to return all of them in order to cancel the permit. If your motorcycle becomes 10 years old it can remain in Mexico, you will get your guarantee back when you cancel the import permit that includes all the vehicles. I have an ’83 VW Golf which I imported into Mexico in 2009 with my FM3. It is licensed in Germany and my Mexican friend wishes to buy it when it turns 30 years old next year. What is the procedure for getting Mexican plates and Title for this car? It is legally registered, titled and insured in Germany (insurance is required to license a vehicle in Germany). I have a predicament. I am living in Mexico and have been for 6 years. I have a 2005 Toyota Rav4 that was built in Canada. I would like to import it definititively in to Mexico. The vehicle is currently in Mexico as I imported it with my FM2 (I am married to a Mexican). I have now achieved inmigrado status. My understanding is that I can bring this vehicle in permanently effective in November. I guess my question is this: Can I bring the vehicle in permanently? If I can, do I actually have to bring the vehicle to the border? (I typically do not drive the vehicle out of the city and prefer not to). Lastly, what is the typical cost to do this.. all costs in? Thank you for your response. I appreciate your time. Trever, according to Mexican customs rules, permanent import of vehicles is only allowed for cars which models are 9 or 8 years old (not more, no less); hence you will have to wait until 2014 to import it permanently. And when is time for you to do it, yes you´ll have to take it to the border. Costs are the customs broker´s fees (here in Yucatan are around 5,000 MXP) plus the import duties (10% advalorem tax over the current value of the vehicle plus 16% VAT). I temporarily imported a van into Mexico last March (2012) to use in our charitable organization located in Progreso, Yucatan. I am soon driving with a colleague who will be importing another van. I want to bring along my Yamaha cruiser motorcycle (in a cargo trailer) and import it. Is this possible? Is there a problem having a van and a stree-legal motorcycle under my name? Gary, if you want to bring the motorcycle you will have to take your van out of the country and import your van and your motorcyble (in the cargo trailer) together under one import permit. It is not possible to bring them separate as you can only have one import permit valid at a time. To everyone that wants to bring in more than one street legal vehicle into Mexico under one name….. I am going to write a quick comment here to help you all as I was misinformed and suffered a great deal of stress at the border to Mexico. NO, You CANNOT bring in more than ONE street legal motorized vehicle under one permit (one name)! You are able to bring in one vehicle with a trailer attached OR one motorcycle. After being told that we cold bring our motorcycle into Mexico in our trailer towed by our truck we soon found out at the import office in Nuevo Laredo that indeed you cannot do this. The 2 street legal vehicles must enter under 2 temporary permits under 2 different names. The only way to bring a motorcycle into Mexico if you already have a temporary permit for another motor vehicle is to “permanently” import it and pay the import taxes (very cheap) then register it in Mexico with Mexican plates…..
As to the previous information regarding being able to import a vehicle (truck, car, etc. ), a trailer, and a motorcycle under one permit… This is wrong! You are however, allowed to import a vehicle (truck, car, etc. ), a trailer and a motorcycle (or other recreational motorized vehicle), as long as it’s not street legal and doesn’t require plates and/or registration. This information comes directly form the Temporary Foreign Vehicle Importation Office and Banjercito in Mexico. Hi. I just want to 1) make sure that all the above information is current for 2012, 2) clarify and 3)ask a few questions. I’m here in Mexico on an FM3 visa as a teacher (or will be as soon as the paperwork processes). I’m going home for Christmas and was considering driving my 2006 Toyota back down when I return in January. As I understand it, the permit for my car will last as long as my FM3 Visa does (yay!) and can be renewed likewise. If that’s correct, here are the questions: What is the cost of the permit? Will I be able to leave the country with my car for the summer and then return without canceling the permit? Is it easier to apply in advance, or just do it all at the border when I get there? Thanks, and sorry if you’ve covered these questions somewhere in the thread…I didn’t see them. 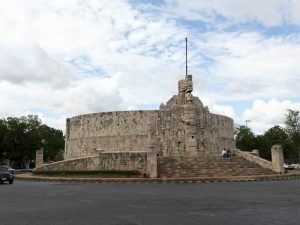 Evie, since this article is from 2010, some of the information in it is no longer current; please read this other one published afterwards: https://www.yucatanexpatriateservices.com/resident-services/new-rules-for-bringing-your-car-to-mexico.html. Answering your questions: yes, the import permit for your car will be valid as long as your visa is valid. The cost of the temporary import permit is approxiamtely 52 USD plus a deposit you will have to leave at the border and that will be returned to you when you cancel the import permit (in the link above it says the amount of the deposit). In order to leave Mexico and then return, you will have to cancel the import permit when you exit the country and get a new one when you return. Based on our experience is easy to apply for it directly at the border, please take with you the title of property of the vehicle in your name, your passport and your visa. Tricia, thank you for your comments, it is correct what you say. In a previous comment written by us on December 4th addressed to Gary we were referring to recreational motorcycles. Hey, I was going to to Mexico to visit my friend in a few days.. His dad wants to buy a car from here, so I will be driving it down there. Is it possible for me to take the car into Mexico without the vehicle being under my name? Mark, the car has to be in your name so you can introduce it to the country or if it´s under your wife, parents or children’s name you can import it but you have to prove the relationship with the marriage certificate or the birth certificate. Thanks so much for the response. I had another quick question can I take a car out, that is on a temp tag? Mark, yes you can take it out and once you do, the temporary import permit will be cancelled. When you re-enter you’ll be issued with a new one. We’ll be driving to Mexico in a few days with temporary resident visas. Our intention is to pack our stuff in big ziplocks rather than suitcases as this will take advantage of the space in the trunk of our small sedan. 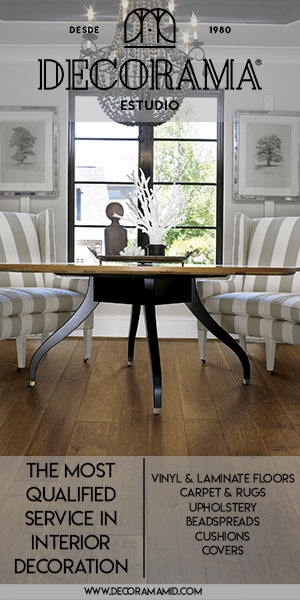 Should we inventory individual items or would it be better to call everthing our “household” and use a broker? Colin, if you are planning to bring your belongings duty-free as your “menaje de casa” or “household” you should hire a customs broker and inventory every single item you bring. I am confused about importing a car with or without a permit. I want to buy a used Ford Explorer Sport Trac SUV, which were never sold in Mexico. I have found there to be a good supply of used ones in Texas. I am assuming that the model year is used as the year of manufacture, not the actual date the truck was constructed (ie, model year 2003 constructed in Nov 2002). Is this correct? Since we are now in 2013, I assume that I am only allowed to buy a 2003 to import permanently with my new imagrado status without a “permit”. Is this correct, or may I bring in an older model, say a 2002 or 2001 with a permit? How does one get a permit and is it a difficult process for an imagrado? Nicolas, from July 2011 regulations for importing vehicles permanently changed and now only vehicles that have 9 or 8 years can be imported. It is correct what you say about the definition of model of the vehicle. Since we are now in 2013, you could only import permanently vehicles with model 2004 or 2005. You can bring any vehicle if you import it temporarily. Only visitors and temporary resident visa holders can import vehicles temporarily. If you are an “Inmigrado” you cannot do it. Hello Adriana–I will be crossing at Laredo and driving south with a 12′ trailer in tow. I have heard about thugs on the highway that will hijack all of one’s possessions. Do you have any credible information about safety on the highway? I’m a bit concerned. I would like to import my mother’s vehicle, a 1999 Toyota Rav4 from Canada to Quintana Roo, either by road or ship, as she no longer drives it. Here’s the catch. I now live in Mexico with FM3, formerly lived in Turks & Caicos as a permanent resident, and have a Turks & Caicos Drivers license. It is impossible to change the Canadian registration of my mother’s car to my name as I’m not a Canadian resident, so will the Mexican authorities accept a signed bill of sale from my mother, with the vehicle registration remaining in her name. According to the SAT pamphlet it is permitted to import your parent’s vehicle, but you must prove the relationship by birth certificates, which leads to the next question, how can my birth certificate possibly prove anything other than I have the same last name as the person the car is registered to. Is this even possible to do this ……… Very confused by all this to say the least…. then the next question, what happens when she passes away, as it would be impossible to change the registration at this point. Roger, I suggest you to log in to our website YoListo, there you can ask other expats about their experiences crossing the border and driving through Mexico. Andrew, if your mother could endorse the invoice of the car into your name, that´ll be the best. However, you can contact Mr. Erik Fernandez from Banjercito and send him by e-mail a scanned copy of the bill of sale to see if they will approve it: efernandez@banjercito.com.mx. Or, you can import it showing your birth certificate with your name and your mother´s name on it (you´ll prove your identity with your passport). When she passes away, nothing will happen regarding the vehicle because the impor permit will be in your name. We are removing our 2008 Trailblazer from MX in April. We will cancel our TIP when we reach KM 21 by Nogales. We would like to bring a 2006 or 2007 Toyota or Honda Minivan from Canada when we return to MX in Nov. We have our Temporary Visas as we renewed our FM3s. Is it possible for us to import the minivan ourselves at Nogales? Do we need to involve a Licensed Customs Broker? Is This a bad plan and should we just buy a minivan in Guadalajara? Hello! I am Brazilian living in Monterrey, Nuevo León. My visa is a Fm3 (“cargo de confianza – lucrativa”), it expires in June and I am intended to renew it. Could I buy a car in the United States and use it here? I also have a tourist American visa. I appreciate your comments! Thank you very much! Hello, i would like to buy a new car 2013 in Canada and drive it into Mexico city. Is it difficult and expensive to obtain a ” permit from the Secretary of Economy ” ? what do i need to do? ¦My temporary FM3 status will change to permanent end 2014. ¦I brought my motorhome from CANADA to Mx Oct. 2010. Temporary permit is valid 10 years. ¦Vehicle registration in Canada states 1987 for age. ¦Canadian insurance company rejected renewal spring 2011. ¦Canadian road permit plate sticker expired fall 2011. ¦I can not get new sticker without Can. insurance. ¦I may not get sticker without Can. “road worthy” and exhaust test. ¦Can I get U.S. insurance at border, which side? ¦Can I drive to Can. through U.S., on the expired sticker. ¦or drive it to U.S. and sell it there. ¦or drive it over southern border trying to sell it there. ¦I hardly use MH, so it is a burden. I enjoyed driving my household stuff to MX in this vehicle. We will be driving a 2001 Ford Van to Yucatan. I understand the 180 days for tourists. However, I am wondering if we can fly out and back, leaving the van. Then drive the van out before the 180 days expire. Tim, currently the rules about importing a vehicle temporarily are still unclear as whether temporary resident visa holders will be able to make these types of imports. Our advice would be that either you wait for updated information when your trip is closer or to just buy a vehicle in Mexico. Bruno, you will be able to import it if the visa you will apply for in June allows it. Immigration rules changed in Novemer 2012 and now FM3´s no longer exist. Carl, it will be a long process and most likely you won´t succeed. You can import it temporarily though if you have the appropriate type of visa. Betty, if you import a vehicle with a 180 day visa, you need to keep that car attached to that visa. So no, you cannot leave the country and then come back on a new 180 day visa and keep the car legal, since it will be attached to the previous visa. Thanks for reading / responding. I hoped for luck of finding someone who had the experience in a similar situation. I assume I am not the first one in a situation as described. I would like to have my 1971 Chevy Blazer towed across the boarder from San Diego to Tijuana. The vehicle does not run and will be repaired and repainted in TJ. I have had some problems finding a company that I am confident in transporting the truck and obtaining the correct permits. Do you have any suggestions or companies you could recommend? Tom, since we are based in Yucatan (southeastern part of Mexico) we do not know of companies at the northern border that could help you transporting your vehicle. However, we are posting your comment in case somebody can give you a referral. Good luck! When you enter Mexico via road there is a place where you need to register your vehicle, prove you have insurance etc. The Northern border has the place some km inside MX. It is where the temporary vehicle import permit can be obtained and cancelled in case of leaving for and crossing the border. Is there a source where reliable information can be had as to the location of such Mexican import / export offices? No doubt these exist on all big roads. Do they exist on smaller roads – this would allow going around the heavy traffic offices. The place I am interested in: Piedras Negras, which is north of (big) Laredo, Eastern Mexico US border. Route: Saltillo – Monclova – Sabinas – PN. #57. The clearest info. found on subject import / export was on this thread. “My” local customs agent claimed permanent import to be impossible, law obstacles. Hence I decided to route the vehicle North, across the border. Stop spending money on it. _ I obtained a Canadian insurance, this part is solved. Also have CAA road assistance. Remaining problem is not for publication – frustrating, getting political. Sorry to add, found no EDIT button. Meanwhile since posting I discovered there is no suitable road on the US side of Piedras Negras. I don’t want to go more west, I don’t want to go south to Laredo, the only 2 options. Nevertheless, my question might still open a useful door when an answer appears. I plan to ride my motorcycle to Cabo from canada and store it there then fly back at a later date to ride it back to canada or onward to belize. Which permit would be appropriate and is this allowed? I currently do this in the US but for a canadian there is no time limit as to how long I can store it in the US while I am back in Canada (at work). Tom, in order to do this you will need to get first a temporary resident visa at a Mexican Consulate abroad and then get the resident card at an Immigration office in Cabo, so you can then import the motorcycle, keep it there and then when you return to the country the temporary import permit is still valid. If you do not get the temporary resident card, and you import the motorcycle as a tourist, when you exit the country and then you come back on a new tourist visa, the temporary import permit of the motorcycle will be expired since you will no longer have the tourist visa with which it was imported in the first place. I want to leave the car in Cozumel with a Mexican buddy or sell it in Cozumel one day. What am I looking at to do this? Jeff, because both vehicles are older than 9 years, you cannot get Mexican license plates for them, you could only import them temporarily and temporary imported vehicles cannot be sold or transferred to anyone within Mexico. Also, since you will be travelling on a tourist visa (good for 6 months), once that visa expires, the vehicles will become illegal within the country, unless you take them out before the 6 months end and then take them in again (either to the States or to Belize) on another tourist visa. I will be travelling soon to mexico to live and will be driving with a truck and cargo trailer (will be applying for a permanent VISA from the USA this month). The cargo trailer I buy to carry my belongings will not yet officially be in my name yet (it takes 30 days to get a new pink slip). Will the boarder allow me to cross with the title signed over to me but not a new pink slip? This could be a major problem since I’ll cross the boarder in Texas and be far from California to resolve it if it is a problem. Caroline, for your information, if you have a permanent resident visa, you won´t be able to import the vehicles; permanent residents cannot have foreign plated vehicles in Mexico. Sorry, it is a temporary VISA. – Title of property in the name of the importer or signed over to the importer. – Plates registration in the name of the importer. – Invoice of sale or leasing contract in the name of the importer or signed over to the importer. I am trying to bring a 1967 Camaro to Cabo San Lucas for 5 days and am wondering what I need to do to get it there, drive it around and brink it back. i.e., will I need a permit or carnet or what? Christie, you just need to show the title of property of your vehicle, your passport and your FMM (tourist visa) at the Banjercito office when you cross the border and you will be granted with a temporary import permit, which is good for 180 days. You can have the car in Mexico within such period of time and before the 180 days expire, take it back to border to cancel the import permit. It is important that you are a tourist, since Mexican residents are not allowed anymore to import foreign plated vehicles. Thank you for your response. What do I do if I am not driving the Camaro, I am having a shipping company take it across the border? Thanks again. I have one more question (hopefully). We will have someone other than a family member driving, i.e. a hired driver from a transit company. Does this permit work if said driver has it in the truck transporting the Camaro? Christie, yes it will work, but let the Banjercito people know when you request the permit online. 1-	Can I bring more than one car? We are now permenant residents. Our car was removed from mex and the sticker removed. On one trip down I trailered down my 1981 honda 900 motorcycle, but apparently it was not added to my tip.I now have an illegal 31 year old motorcycle at my home in sinaloa. Any help or advice on what to do? Suren, you can´t have more than one car temporarily imported in Mexico and you won´t be able to put Mexican plates on it because the vehicle would need to be 9 or 8 years old and it is only 3. John, you should get a “safe return” permit (retorno seguro) before your local tax office and ride it out of the country. Hi, I am planning to enter Mexico/Baja with my van on a TIP as a tourist. A US Friend of mine picks it up in Mexico to drive it south to Belize/Guatemala. I will fly back to the US from Mexico. I can have his name added to the title, so he should be legal to drive it in Mexico. But it will still be tied to my tourist card and not his, right? any way we can get this transfered? Does it matter? WD, when the van crosses the border in Belize the TIP given to you in Baja will be cancelled and when your friend brings the car back, the TIP will be in his name attached to his tourist visa. If he doesn´t cross the border, the TIP will still be tied to your turist visa. I just received by mail a permit to bring my car into Mexico. I now want to trailer a 2005 Harley also registered in my name. My wife is coming with me, so can I cancel the permit at the border entering Mexico. I would then get one for her(the car would be in her name we would transfer it) and the motorcycle in mine. Luc, you could also import the trailer and the motorcycle along with the vehicle, under one import permit. Hi there. I would like to buy a car in Orange County, california I will have dual citizenship soon. Can you Do my paperwork so I don’t have to bother? How much does it cost for you to do it and can you tell me which brands pass the nafta test the easiest? Gracias. I wish to bring a 2003-04 Dodge Grand Caravan into Mexico and gift the vehicle to a dear friend who is a Mexican citizen. I am a Property Owner in Quintana Roo and will have copies of the purchase agreement for the vehicle, insurance document,my property title, taxes, utilities, passport, drivers licence and anything else you may recommend. I will be entering on a tourist Visa as I have never needed an fm2 or 3 for any transactions done so far. Can I do this legally under current rules and regulations for mexico? Can you help me make this happen? I really want to do this. Mark, unfortunately you cannot sell, give or donate a foreign plated vehicle within Mexico to anyone. You are the only owner of it. If I arrive in Mexico from Canada with my vehicle on a tourist visa, I have 180 days to obtain an FM2 and attach the vehicle to that fm2. I would then have to leave mexico with the vehicle and re-enter on the new FM2 in order to register the vehicle in my name and obtain mexican licence plates. I would do this at the Belize/Mexico Border since i live in Quintana Roo. Is this correct and can I do this with relative ease. Mark, Immigration rules changed in November 2012, so FM2´s no longer exist, now they are called Temporary Resident Cards; also, you cannot request them within Mexico (unless you have a Mexican relative: parent, sibling or child), you need to request them at a Mexican consulate abroad. That being said, you can bring your vehicle on a tourist visa for 180 days, but you will have to take it out before the 180 days expire; if you want, you could come back again as a tourist with the vehicle for another 180 days. I have a 2003 motorcycle and e-mailed a broker at the 21KM crossing who said I could import it and the cost would be $1030. I plan on bringing the bike back in the spring so don’t really want to import it. I have a permanent resident card and would like to know if there is any other way I could have it down there on a temporary basis. Ron, as a permanent resident, you cannot import in Mexico foreign vehicles temporarily. Hello. We brought in a 1998 dodge grand caravan on a us tourist visa however are now stuck in tecoman/Colima with a blown transmission and it barely runs. We have tried fixing it with little luck and it now seems unlikely to make it back to the States. What do we need to do to junk it here and have everything go smoothly with el banjercito? Is this even a good idea? Thanks! Nick, you need to contact the local tax authorities office (SAT) in order to request the permit to junk it with them acting as witnesses. Or you could hire a tow service to take the vehicle out of the country. I want to drive my car into Mexico on a tourist visa. Everything I’ve read says that I need the title to bring it in. The car is only a year old and I still have a loan on it with the bank. In other words, the bank holds the title. Are you only allowed to bring in cars that are owned outright or can you bring in a car to which you don’t have a title? Michelle, if you are still paying for the car, you must present the contract you signed with the bank or an invoice with a date not older than 3 months stating your name (as in your passport) and a written authorization by them for its import into Mexico. Hello, I am the owner 2001 pick up truck (my title shows this, and my truck is classified as commercial truck). My vin starts with “1N6”. I am a US citizen; not a resident of Mexico) and I plan to naturalise my truck in about two months. Therefore, what do I need to do to make it happen? Or do I have a good chance to naturalise it? Any alternatives? I see discussion of nationalizing older Japanese bikes from the US. I am in-process for permanent residence in Mexico. Can I nationalize a 2007 Yamaha Roadliner. I will be doing the same for a 2007 Ford F150 also. John, you won´t be able to nationalize it becasue it is older than what the current customs regulations allow for permanent importation: only 9 or 8 year old vehicles. Yours is 13 years old. You could bring it as a temporary import though. John H, as far as we know, permanent residents cannot import foreign vehicles into Mexico. Only temporary residents can. Also, your Ford F150 would still have to wait 1 more year to be nationalized, since only 9 or 8 year old vehicles can be imported permanently. Can a 2004 Chevy Tahoo be nationalized and if so how is that done? Ann, no it can´t be nationalized since only 9 or 8 year old vehicles can be (not older, not newer). How do you nationalize a car? OK I have a temporary residency visa and my foreign plated vehicle from Canada in Mexico. When the 4 years is up and the visa expires, I understand I must then leave Mexico and apply again at a Mexican embassy for another temporary Visa from outside the country. 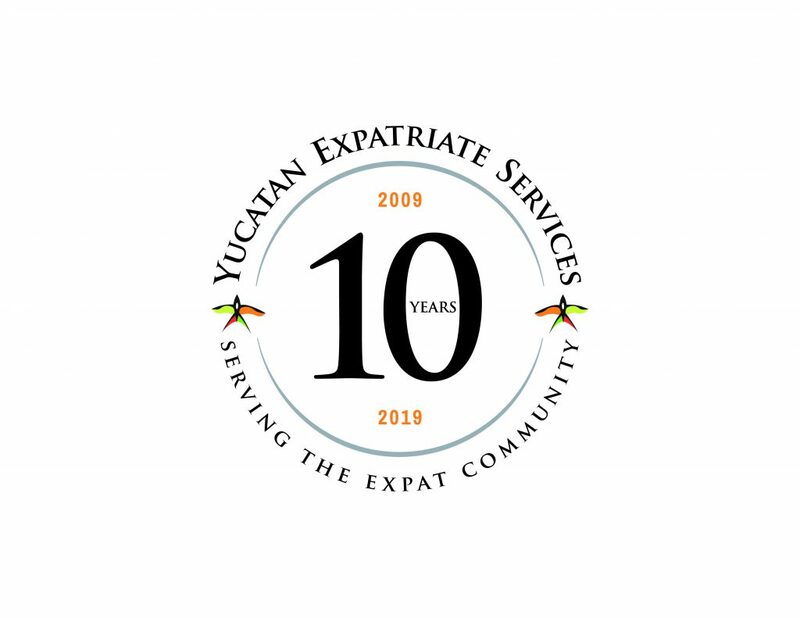 Can I do this say 6 months in advance of the current Visa expiring, so as not to have to remove the vehicle from Mexico and then re-enter with it when the new Visa has been issued ….. as Tulum is a very long way from the US border just to remove it from the country and then return it. Ann, the services of a customs broker need to be hired, they let you know the amount of duties that must be paid and will provide the “pedimento” which is the import document. After that, you will be able to get Mexican license plates and a circulation card (“Tarjeta de Circulación”) in the state of Mexico where you have an address. Andrew, when your 4 years as a temporary resident end, you will become a permanent resident, and permanent residents cannot have foreign plated vehicles in Mexico. If you wish to keep your vehicle here, you will need to let your temporary resident card expire and then start all over, because if you let it expire, you can´t become a permanent resident. Then yes, you will need to apply for another temporary resident visa at a Mexican embassy but you will need to leave with the car and then come back with it under your new temporary resident visa. Ok this does not seem to be a good idea as I would likely then have to pay to ship the car by boat to Florida before my temporary residency card expires, and then pay to ship it back to Cancun when the new temporary residence card is issued, along with all the associated paperwork … sounds like a nightmare. Perhaps better to purchase a Mexican plated car ….. Can someone with a temporary residency card legally purchase a Mexican plated car in Mexico and drive it with a foreign driver’s license? And if so then what are the ramifications when one’s temporary residency card expires when owning a Mexican plated car in Mexico. OK ……. Based on what you say this does not make a lot of sense. It will cost more than the car is worth to ship it out of Mexico and then ship it back in again, not to mention all the paperwork involved. These rules are ridiculous. So that leads me to the next question …. can the holder of a temporary resident card purchase a Mexican plated car in Mexico and then drive it with a foreign drivers license? Andrew, you don´t have to ship the car to the US, you could drive it to Belize, which will be cheaper and closer; as long as it exits Mexico it will be fine, when the car exits Mexico the current temporary import permit will be cancelled and then when you re-enter you will get a new one under your new temporary resident visa. You can purchase a car in Mexico and get it registered in your name with a temporary or permanent resident card. Also, you can drive the car with your US driver´s license, as long as it is valid. Once you have a Mexican plated car, it won´t matter if you are a temporary or permanent resident, you can keep the car as your own or sell it whenever is more convenient for you. Okay I think I have my info right! We are Canadians riding our 2005 Harley Davidson to our home that we purchased three years ago in La Paz. We will be vacationing there for three weeks next month and then flying back to Canada. We would like to import the bike at that time. If I have this right, we would get our tourist visa at the Mexican border when we cross next month and then import the bike temporarily for the 180 day period as we want to keep it in Mexico. We would be allowed to keep the bike in Mexico as long as the permit doesn’t expire. We will be moving to to La Paz approx Nov01. We will be going down with our truck, trailer and household goods. We will apply for our temporary residence prior to going down in November and also the household goods certificate. Can we switch the bike to our temporary residence when we move down in November as long as it’s completed before the 180 days expire? Can the paperwork at border be done without having to cross physically with the bike? Because the bike is 9yrs old it would qualify to be imported permanently? If it qualifies to be imported permanently would we have to do that in November as we would only be going down on a tourist visa in May? I am planning to move permanently to Tulum in November. I have a 1959 Apache truck and an enclosed trailer with my tools. Can I import this permanently? Bring trailer with tools? I have a job there and have family there as well. Best long term scenario? Dennis, yes you can import the truck, trailer and tools permanently but you will need to hire the services of a customs broker and pay the corresponding import duties. thanks Andrew. Any suggestions as to which visa to apply for. I am US citizen and family is my sisters through her marriage. Best scenario please, and suggested progression through the different visas, with the eventual goal of permanent residency, and thanks for your comments and suggestions. Dennis, we need more information in order to help you. Do you have Mexican relatives? Are you retired? Please write us to info@yucatanyes.com. Thank you. I am hoping to give an 03 Chevy van to my brother-in-law who lives in Nogales, Sonora. I was hoping to drive it down to him and deliver it. Is that possible or what will I have to do to get that to him? I don’t want to spend much because the van while in good shape, is not worth much and was recently totaled for some damage I had fixed. David, we suggest that he brings it to Mexico so that he is the importer. For this he either must be foreigner or a Mexican who has lived at least 1 year abroad. If you import it, the van will only be legal in Mexico as long as you remain in Mexico (if you are a tourist) or for as long as your temporary residency is valid (4 years). If he brings it, the title must be changed to his name or endorsed to his name at the back of it. I have a friend who is Mexican citizen and works in canada.he wants me to teanpost his vehicle as he cannot be in the states and wants the vehicle brought to him in Mexico, what’s procedures do I news to follow in order to do this? Elvis, first of all, you would need to prove ownership of the vehicle in order to import it temporarily. Once the vehicle is in Mexico the temporary import permit cannot be transferred to anyone, unless the car leaves the country. Our advice is that your friend imports it. We live in Mexico on tourist visas: If we want to sell our US plated truck to a non mexican (at Belize border crossing), do we sell it with our US plates (that are NOT expired)? Or do we take the plates with us? Hello, I have a 1988 Rover Mini Cooper in England, and would like to ship it to Mexico. It would ultimately be owned and registered to a Mexican citizen. 1. Are cars thoroughly inspected when entering Mexico. 2. Once registered in Mexico, can the car be driven into the Us and registered there without any problems? Any suggestions as to how to accomplish the above would be greatly appreciated. I would like to import a classic motorcycle into Mexico, Puerto Morelos. The VIN # starts with a 7. It is a 1970 BMW with side car. Is it possible to import a non-NAFTA classic? Also, the bike is not currently running. But I can get her running if need be. I am not a resident of Mexico but my sister is a citizen so if it is possible I’d transfer ownership into her name and give her the bike. Thank you in advance for your time! Bethany, when someone sells a car here in Mexico they do not take the plates, the plates go with the car; however we know that in some states in the US the plates belong to the owner and sometimes when they sell a car they take the plates. In this case if you take the plates then the new owner won’t be able to get into Mexico without plates. Paul, you can bring the car with a temporary import permit (but you won´t be able to sell it to anyone). In this case the car can only be in Mexico for the same period of time that your Immigration Status. Also, the importer must be a foreigner or a Mexican that can prove that is a resident abroad; as a Mexican the temporary import permit can only be valid for 180 days. If a car is coming into Mexico with a Temporary Import Permit it won’t be inspected; however if you are planning to legalize it (get Mexican plates) then you will be requested with an emission test from the country where the car is coming (the inspection won’t be made in Mexico) and you will need to hire the services of a customs broker and pay the corresponding duties for the import; the vehicle’s VIN number must start with a 1, 2, 3, 4 or 5 in order to be permanently imported. About your last question whether the car can be driven into the US and registered there, we do not have the answer to that since we are not familiar with rules and requirements in the US, only in Mexico. Sarah, you can bring a motorcycle even if the VIN number starts with 7 but before you import it, the customs broker has to request a permit to the Ministry of Economy so they approve the import. In your case because you are not a resident you can transfer the car to your sister’s name and she can register the car in her name, she just has to provide a Mexican ID and domicile in Mexico. – Title of property or registration of valid license plates in the importer´s name. – If it is a vehicle owned by a company, the legal agreement showing the relation between the company and the importer. Don, we do not know about the fees and amounts that are affected by importing this sort of motorcycle; our suggestion is that you contact a customs broker at the border who will also help you import it permanently; they are able to give you exact information. Hi, i would like to import a lamborghini from the USA to Mexico. Its a 2004 model is there a way to import it to mexico even tough is not made in the USA? If we go to the belize border to sell our car, do we sign over the title and bill of sale in the free zone or do we have to actually enter Belize and then can the new owners (non-mexican-tourist visas) turn around and get the TIP same day? Roberto, the vehicle must have been manufactured in the USA, Canada or Mexico so that it can be imported permanently (VIN number should start with a 1, 2, 3, 4 or 5). Bethany, you can do the selling of the car after you cancel the import permit at the Banjercito office which is at the border. The new owners can turn around and get the TIP the same day. I am Mexican by birth but lived in Canada most of my life. As Mexican can a us plated car be given to by family here on vacation, The car has a TIP. Can I get Mexican plates? Ulises, you can get Mexican plates for the foreing plated car only if the car is 9 or 8 years old (not more, not less) and if the VIN number starts with a 1, 2, 3, 4 or 5 (which means it is NAFTA manufactured). Hola! Quisiera saber cuales serian las tarifas o los pagos que tendrían que ser efectuados si quisiera traer un coche de Peru al DF. Los impuestos que se tienen que pagar, tenencias, seguros, etc. Ya que los precios de coches nuevos son casi iguales en Mexico que en Perú, quería saber si hay algún beneficio u ahorro económico trayendo uno su coche o si comprar uno acá saldría mas a cuentas. El coche es un Mercedes del 2014, esta casi nuevo. Taylor, te sugiero contactar alguna agencia o empresa situada en el DF para que te pueda proporcionar la información que necesitas; nosotros te podemos dar información pero del Estado de Yucatán, y como todo lo relativo a vehículos lo regula el Gobierno de cada estado, no tenemos información del DF. Una disculpa. I purchased a travel trailer this month and I only have the temporary registration. I am planning to go down to baja California. Will the temporary registration be sufficient? Shei, in order to get Mexican license plates, your car must be 9 or 8 years old (not more than 9, not less than 8) and the VIN number should start with a 1, 2, 3, 4 or 5 (which means it was NAFTA manufactured). I have been living in Mexico for over 11 years now and when I first came down I brought with me my 1984 Yamaha motorcycle (Japanese made). It was brought down with a TIP but I was always told that as long as I had a valid visa (originally FM-3 now Temporary Resident) I did not need to renew the TIP. I am now getting conflicting information on this. Can you confirm if I need to renew the TIP or if it is still valid. In addition I would like to legally import the bike and from information you posted recently it looks like an old bike can be imported regardless of country of manufacture. Can you clarify this as well. Shayne, there is no TIP renewal, but every time you renewed your migratory status you needed to notify Mexican customs of this, so that in their records they have the current information and they can validate your migratory status in the country. About the import of your bike, that is correct, you can import it regardless of the country of manufacture, paying the corresponding duties. I’ve been looking over this blog, and while I do see some 2014 entries, I see no mention of the new Residente Temporal & Permanente statuses, and what the rules might be regarding importing under one of these immigration statuses. I’ve owned my home on Isla Mujeres since ’08, but have recently retired and have been steadily preparing for a permanent move during the past year. I already have my Residente Permanente status, but with my limited Spanish, and with it being over 50 miles away, I’ve not been able to learn much from the Sacramento CA consulate. Last spring (’14) I was told by my Mexican National employee that there was a Mexican in Modesto CA who was shipping vehicles into Mexico for other Mexicans, so I asked him to inquire about doing it for me. We were told to wait, as new laws and new import duties were being set by the government, and that he was suspending operations until the new rates were set. After that was done, the guy stopped shipping cars, altogether, citing excessively high new import duties! Steve, unfortunately permanent residents cannot import foreign plated vehicles into Mexico, only temporary residents can. If you are already a permanent resident, you won´t be able to bring any of your 2 vehicles. Steve, Mexican nationals can bring vehicles into Mexico with a temporary import permit valid for only 180 days and temporary imported vehicles cannot be sold within Mexico, so the option of him selling it to you after he has imported it won´t work. I am wanting to purchase a vehicle from friends who are becoming permante this September. We are planning on going to Belize next week to finish the deal. I have only just lone concern…I See on different web sites that folks with temporal status with the work status allowed you cannot temporary import a vehicle. I have 3 years more or less on my temp visa with permission to work. And want to be very sure before making this trip..any help would be greatly appreciated..
Trevor, it is correct, residents with temporary status with a work permit are not allowed to temporary import vehicles. (1) You explain above that I am to notify Mexican customs of any change in my immigration status? Frankly, employers advised us that we need not take any action. On the contrary, my wife and I were told that the car’s legal permit is tied to my valid legal temporary residence permit. Therefore, as long as I was legally in Mexico, the car is legal, too. No actions needed. THUS, I’ve NOT notified customs of three changes since arriving. This looks to be wrong advice. What do I do now? (2) When reading the below facts, would you advise me to answer question 1, keep the US plates, figure out how to maintain US registration while on temporary assignment in Mexico BECAUSE I cannot import the vehicle in order to drive or sell it vehicle (while a NAFTA car, it is 16 years old which is outside the 8-9 year range, yes? (1) I entered Mexico at Piedras Negras in September 2013. There, I paid una Garantía and secured a temporary import permit (and window sticker) for my US plated car. (2) On arrival in Pachuca, Hidalgo and conversion of my temporary tourist visa to a one year temporary resident permit (my visa is tied to my spouse’s teaching job; I work as volunteer), I was informed by employers that while the date on the front window sticker would expire, all was fine b/c my car permit is tied to my visa status, i.e., I need not do anything so long as I’m legally in Mexico. THUS, I did nothing. My car continued to have US plates, the window sticker remains, and I lived under my temporary resident permit. (3) in July of 2014, my wife and I moved to Mexico City for different employment where I renewed my temporary resident permit and formally changed my address. I now live under this permit. (4) Now, we’re renewing our temporary residence permits for a 2nd year in Mexico City. Through all, and apart from the initial steps taken at the Aduana just south of Piedras Negras, I’ve not engaged Mexican customs. I am frustrated with the whole process of permanently importing a car. I was just told that now they are only nationalizing cars in Ciudad Juarez. I legally came into Mexico on an FM3 with a US-plated car and trailer. The both of them are worth no more than $1500 USD so the idea of driving to the US from Mexico City is not really worth the time, hassle, or money. So, I am interested in donating my car and trailer to the Aduana. Has anyone done this and can offer some insight? Ahh…I forgot this point. I am now a Permanent Resident. Much to my dismay, this makes my TIP car and trailer illegal. Danielle, it is the first time we hear that now cars are only being nationalized in Ciudad Juárez. Also, we have not experienced the donation process to Aduana, although we’ve heard is very complicated, no one knows (even the Aduana people) how it should be done. 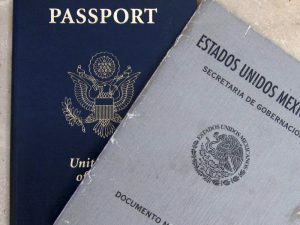 And since you are already a permanent resident, you won´t be able to do anything with your vehicle but to drive it outside of Mexico with a permit from tax authorities called safe return “retorno seguro”, which willl give you 5 days approximately to drive the car legally out of the country. Hello. I live in California and I have a 1999 Nissan Maxima that needs a couple of engine repair. I have a clear title but since my vehicle is not running, i do not have a current registration or PNO on it. My boyfriend’s family lives in Ensenada, Baja California, Mexico; and I would like to give them the car, as they know mechanics there that can fix it, and the ultimate goal is that my boyfriends family will permanently use the car there in Ensenada for themselves. What steps do i need to take to have my 99 Maxima imported to Mexico to Mexican citizens permanently? Thank you for your help. Dina, since the car is currently 16 years old, it cannot be imported permanently (obtain Mexican license plates) because Mexican Customs Regulations state the vehicle must be 9 or 8 years old (not more than 9, not less than 8). If it is brought as a temporary import, the person who imports it must be the owner and he/she cannot leave Mexico without the car if he/she is on a tourist visa. If he/she is on a temporary resident status he can leave the country but will have to renew his/her temporary resident status every year in order to keep the car legal in Mexico. Temporary residency is only good for 4 years, after those 4 years the person becomes permanent resident and permanent residents are not allowed to have foreign plated vehicles in Mexico. Marco, no somos línea naviera o agente aduanal para apoyarle con el embarque y tampoco ofrecemos servicios en Guadalajara, ya que estamos situados en Mérida, Yucatán. 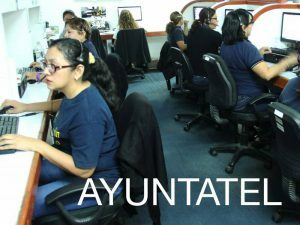 Si requiriera algún servicio para Yucatán, no dude en contactarnos de nuevo! Hello and Thank you for all the information you provide. I have a situation that I need advice on. I will be driving from the US to Mexico with a Canje FMM for a Residente Temporal visa. My wife will be along as a Tourist. If I understand, I will receive a 30 day (Canje) FMM and my wife a 180 day. Once my Residente Temporal is completed, I am allowed to keep my US vehicle in Mexico up to a year (unless I renew, but it will always follow my immigration visa) IF IT IS TEMPORARILY IMPORTED IN *MY* NAME. But if I apply for a TIP at the border, will the import permit only be for 30 days to match my FMM? I do not want to put this in my wife’s name, as she is planning on flying home around Christmas and then the car would have to leave. My other option would be to apply online before we leave and obtain a 180 day permit in MY name, then inform Aduana and Banjercito after my Residente Temporal process is completed. But our date for entering Mexico is not definite. If I enter Mexico with a 30 day Canje visa, will I only get a 30 day import permit also? If I apply online for an import permit, does it include a specific date that you must enter Mexico or a range of time (i.e. within 30 days)? Thank you again for your help with this. Henry, you can enter Mexico with the 30 day canje and get a TIP for the same amount of days; then apply for the residente temporal card at the INM office and once you get your NUT number you go to the nearest Aduana office and present copy of such NUT to notify you are in the process of getting your resident card and once you get it provide a copy of it. The key is to present the NUT number to the Aduana office before the 30 days of your TIP expire. Thank you so much for your answer on this. In the interim, I have applied online for a TIP (to avoid the line at the border) and found the answer to my second question, so I thought I would pass that information along. In the online TIP process, you choose a beginning date and length of time. The permit is valid from that beginning date until the final date of the length of time selected. You may use it to enter Mexico any time it is valid. In our case, we will be travelling over 1000 miles before we reach the Mexican/USA border, so we obtained a 180 day permit for the earliest day we could possibly reach the border. This allows us to arrive not only on that date, but also after that date if we are delayed. If we are delayed more than 180 days, it no longer is valid. I hope this is information that helps someone who has a similar question. Jérôme, you cannot register a vehicle in your name under a tourist visa, you must have temporary or permanent residency to do so. Perhaps you could buy one (depending on whom you are buying from), but the registration would remain in somebody else’s name. I want to pass to mexico, travel there and continue south (guatemala/belize and onwards). 1. can I easily pass the border with a US car registered on my name, me being a non-US citizen/resident? 3. do you know anything about continuing south (crossing to belize/guatemala or anything else relevant). I have a 2004 BMW 325i is the any way I can permanently legalize my vehicle in Mexico since it is not NAFTA manufactured and if do what is the process? 2) You do need the title; also your passport and Mexican tourist visa. 3) Sorry but no, we are related to Mexican regulations only. Abraham, unfortunately you can´t; first because it is not NAFTA and second because only vehicles that are 9 or 8 years old can be permanently imported (not less than 8 years, not more than 9). I brought down a 1981 Honda 900 under a TIP for my 2011 expidition some time ago. The expidetion was not legal to import, so when we obtained permentant status we returned the car to Canada for sale, and purchaced a mexican plated car. I still have the 1981 bike in Mexico. Can I leagalize the bike? I have a very good 2004 Chrysler caravan ,built in CANADA that I want to drive from Canada to Cancun . I want to donate this vehicle for no charge to a family ,that consists of a single mother with 3 children . John, if we understood correctly, we don´t think you can legalize the bike, in fact the bike was attached to the TIP you cancelled when you became permanent residents, so most likely, it is illegal in Mexico, under no valid TIP. 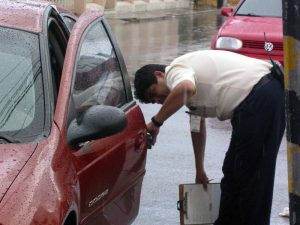 Lawrence, since the vehicle is over 9 years old, it can only be imported temporarily into Mexico (keeping foreign plates) and only the owner of the vehicle can do this; also, in case you sold the vehicle to this lady and the title was in her name, she must prove residency abroad of at least 1 year in order to import it temporarily. She won´t be able to register this vehicle in Mexico because it is over 9 years old and not elegible for permanent import (getting Mexican plates). I would like to buy a car and a boat (on a trailer) in the US (as a tourist) and bring them both to Sinaloa Mexico. I know I can bring in a car for 180 days, but what about the boat? I also plan to purchase a motorcycle (Yamaha 1100cc) during our stay. Should I, or can I, buy a Mexican plated bike or bring one in from the US. It’s all so confusing, please help. Regarding the bike, as a tourist you won´t be able to buy it and put it in your name, to do that, you need to be a temporary or permanent resident in Mexico. You could bring one from the US under the same permit of your car and trailer. Rocio, you would need to put the title of the vehicle in your dad’s name and he would need to do the crossing as he would be the importer. He would need to show his passport, title in his name and migratory form (tourist visa or temporary resident card). If you cross it, the temporary import permit will be in your name, not in his. The cost of the temporary import permit is around 40 USD and he will need to leave a deposit of approximately 400 USD that will be reimbursed to him when the vehicle is returned to the US and he cancels the import permit. Sara, the permanent import of a vehicle is only for foreign plated vehicles that are 9 or 8 years old (not more than 9, not less than 8) and that their VIN number starts with a 1, 2, 3, 4 or 5, which means they were manufactured in NAFTA countries (USA, Canada or Mexico). The cost of the permanent import of a vehicle is a 10% ad-valorem tax and 16% value added tax over the current value of the vehicle (plus custom broker´s fees). If you would like to buy a vehicle that your family can keep in Mexico, you must comply with the requirements described before and when you get Mexican plates, you can leave the car in Mexico for your family. You must hire the services of a customs broker for the permanent import of the vehicle. Hola, yo estaré de visita en Estados Unidos en Agosto del 2016 y me gustaría llevarme un coche usado a México permanentemente. La camioneta es una CRV 2005 pero el VIN empieza con S. Es probable que pueda llevármela a México permanentemente? Hay alguna forma de tramitar la legalización del vehículo aunque no sea fabricado en loa países NAFTA y tenga más de 8 años de haber sido fabricado? Paty, no se puede importar de manera permanente porque como bien dice el VIN empieza con “S” y sólo los vehículos producidos en EUA, México y Canadá pueden importarse de manera permanente; asi mismo, el año modelo del vehículo debe ser 9 u 8 años anteriores al año de la importación y su vehículo ya tiene 11. La única vía que le queda es la importación temporal del mismo. 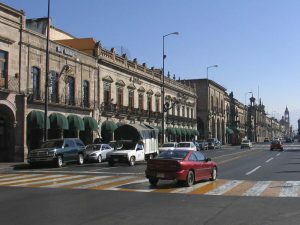 I crossed into Mexico in Nuevo Laredo in Mid November 2015. I had a 30 day permit and Visa for Temp Residency. I completed all residency requirements and received my Temp Residency card. I also complete the process with aduana to extend my vehicle TIP in accordance with my residency status. The extension was positively reflected on the SAT website. I crossed back into the US on February 23 2016 and returned the TIP sticker at the border and was told that the $468 fee would be refunded to my credit card. As of today, the $ has not been refunded. What options do I have to pursue my refund? Thank you for your assistance! HJK, you may want to contact Banjercito and explain your case: permisovehiculos@banjercito.com.mx. Sometimes it takes longer than expected to receive the refunds, but do contact them so that they speed it up. Hello, i want to do the online permit, so my husband and son can take he car down. The car and title is in both of our names but the permit will be in my name. I am a us citizen. Can i do the permit online? Will my husband still be able to take the car to mexico drive it and bringnit back. What will he need and will there be issues since the permit is in my name? Alisha, if the import permit will be in your name, you must be in the car when it crosses. We confirmed this today with a Banjercito officer. Hello, Thanks for your good service! Our church wants to donate a 1999 Ford F-350 passenger van to a church in northern Mexico. 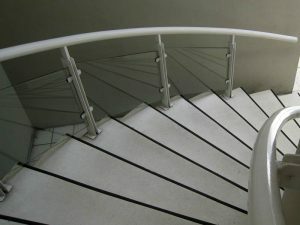 What are the best steps? I see where we will contact a import agency? Any ideas on donated vans? Thanks! Mark, the first step would be that you contact your local tax office and explain your intentions of donating the van to a church. They will let you know if it´s possible and the steps involved. For your information, it is a complicated process; when we personally tried to assist someone locally, the local tax office at the end refused to do it, since they could not get ahold of the person in Mexico City who should have authorized it, after months of trying. Good luck! Hi, Our family will be traveling to Chihuahua, Mexico for a few months with a church-owned van. Will it be a problem to enter with this vehicle on a tourist visa if the title and registration are in the church name? Do I only need a notarized letter of permission from a church official? It is a 2000 Ford E350 with Minnesota plates and we will be towing a small homebuilt trailer with Minnesota plates also registered to the church. Would I be better off to transfer everything into my name for the period of time we plan to be in Mexico? We will probably be entering and leaving a number of times through El Paso during our stay. James, you can read about the documents that are accepted by the Mexican authorities in order to prove ownership of the vehicle to be imported on this link to the Mexican Customs website:http://www.sat.gob.mx/aduanas/vehiculos/importacion_temporal/Paginas/automoviles_ingles.aspx. If you do not have such document, then the best option would be to put the van in your name so you import it. Hello I would like to import a car directly from Japan, Japan has a FTA with Mexico i know that. What would be the best way to go about this? I will be attending school in Mexico for 5-6 Years and will be a resident once i move to Mexico in August. Is there anyway to Permanantly import cars from japan they arent a nafta country but the do have a FTA. If its not possible to Permanantly Nationalize Jap cars would a temporary import work for as long as my visa says? Or does mexico really only allow cars from canada and USA. Ian, the permanent import of cars from countries not NAFTA is extremely complex and almost unachievable. But you could bring it temporarily for as long as your tourist visa or temporary residency is valid. I found out from a Banjercito representative that I did not receive my refund because aduana allowed my paperwork to sit on their desk in Progresso too long and by the time it got to Banjercito it was too late and the $ was deposited into the Mexican Federal Bank. She also stated that this has happened to multiple other folks and that there is talk of legal action against Banjercito. I plan on crossing the border again this fall, with my Temporary Residency status. 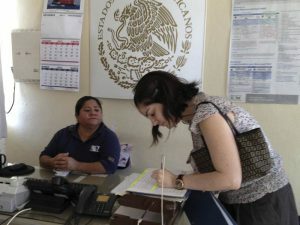 With this residency card needing to be renewed while I am Mexico – for another one year allowance, can I anticipate going through the same red tape with aduana to assure that my residency status and vehicle status are aligned? HJK, you must notify customs of your resident card renewal before the expiration date of the TIP and when you deliver the notification at customs in Progreso, request a copy of the document stating it has been sent to Mexico City; typically it takes one week for them to send the notification, so you will need to return to customs to pick up the copy. Paul, each person can only temporarily import one foreign plated vehicle into Mexico. You’d only be able to bring 2 in total. Joe, if you drive your motorcycle into Mexico as a tourist, you are not going to be able to leave it here when you leave the country. This would only be possible if you were a temporary resident of Mexico. Can I permanently import a 9 yr old vehicle if I have a temporary resident visa? Or do I have to have a permanent resident visa to permanently import a car? Mindy, yes you can import permanently a 9 year old vehicle if you are a temporary resident. We are getting ready to drive in to mexico on Temporary residency visas..
Is there anything else we need when entering? Do we also need a copy of our temporary resident visa cards? How long can we keep car there if we have temporary residency visas? Do we have to keep contacting them(who) as our visas are updated? What exactly is required for insurance documentation? Do we also need to obtain insurance for this vehicle in Mexico? We have a policy on a car that we own in Mexico do we need to get one for this car before we enter? We have our insurance here, and we’ll find out if they have coverage in Mexico I’m hearing different stories about this. Can you also tell me what legal website tells about nationalizing your cars… There are so many different sites its confusing. You have been a great HELP in the past.. Thanks so much in advance! Cc, yes you need a copy of your temporary resident visas. You can keep the car up to 4 years as a temporary resident and you will need to notify customs every time you renew your visa. Before you become a permanent resident, you will need to drive the vehicle outside of Mexico. Yes, you will need to get insurance for your car in Mexico. .I will receive a 30 day (tip) permit then have to renew it? Or is it good until my temporary residence visa is to be renewed in January ? I understand this is very important, and don’t want to miss anything with time line. Everything just says contact customs but where exactly or do I do this? I will be in Chelem. Also with insurance …. on our car that is in Mexico we have insurance through Bancomer but I can not find an English site or number to call to purchase insurance for the car we are bringing in to Mexico. Can you recommend a company that is easy to purchase or contact info you have heard of for Bancomer? Jeez sometimes I want to pull my hair out..lol it’s all been worth it in the end! Hi, we are thinking of buying a place in Mexico for vacation now and later in retirement to spend half of the year there. For now we live in the US but are hoping we can keep a car down there permanently. We are open to importing or purchasing a car (used preferably). Is this a possibility? James, you can’t keep a foreing plated vehicle in Mexico unless you are temporary resident and as a temporary resident you could only keep it for a maximum amount of time of 4 years. To purchase a vehicle in Mexico and register it in your name, you must be temporary or permanent residents. Robert, he’s not going to be able to import it to Mexico unless he can prove he has lived/worked in the US for over a year. I’m sure my question has been touched but I didn’t see it, I have a 2018 SUV I want to drive across somewhere around Brownsville and drive it to Yucatan area, I’m on a tourist visa but would also like to ship my 2016 car to the same area. Question is there a an issue with a 2018 model auto and then having a second car shipped in. Dan G, you cannot import 2 foreign plated vehicles to Mexico; it is allowed only one per person.